One thing I do with the bit of leisure time I have is play video games. I feel like I need to be a bit self defensive about it, given my age and place in life, but according to surveys the average age of gamers is somewhere between 30 and 37, so I fit right in there (although, the age distribution probably has a strong leftwards skew, so it'd be nice to know the median age). Many mainstream games have socially problematic themes, like violence being the only available recourse to progression in the game. A really cool video series on that point is the Grand Theft Auto Pacifist. Another common problem games have is their portrayal of gender (the topic of this post), and on that topic, you should obviously go watch Tropes vs Women in Video Games. I think these socially problematic themes are a bigger deal than when they show up in other media. Video games are unique in requiring an alignment of the audience's motivations with the main character. For example, the experience of watching Breaking Bad and observing Walter White's moral descent would be very different from playing a Breaking Bad game and controlling Walter White. What I've learned playing video games is that while it may be projected on your TV screen, the game is really in your head. 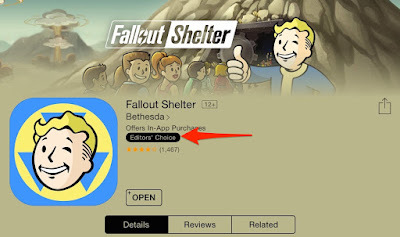 I've recently been playing Fallout Shelter, a mobile game set in the post nuclear apocalypse Fallout universe from Bethesda Studios. Fallout 4 is maybe the most highly anticipated game coming out in time for Christmas this year, and Fallout Shelter is fun diversion for fans to play in the meantime. Your role is the overseer of a Vault-Tec vault where dwellers escape the radioactive wasteland. 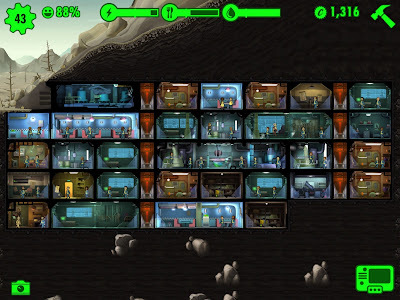 You build out and populate your vault, and assign dwellers tasks like food, water and energy production. It's kinda like an ant colony. 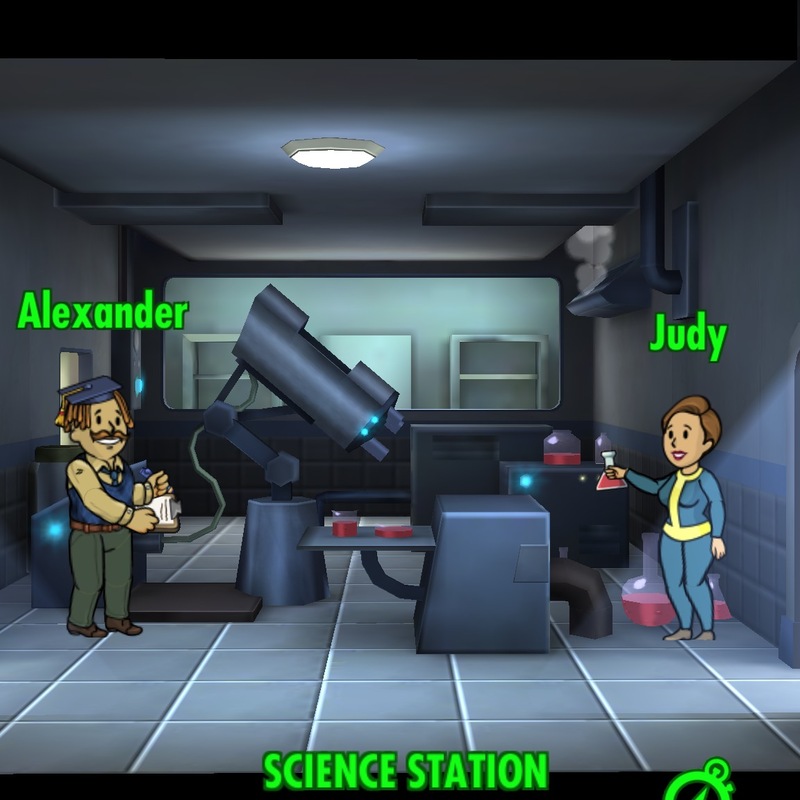 Our story begins when I assigned a dweller to the Science Station I'd built so she could produce RadAways (a treatment for the omnipresent radiation). I wanted to equip her with the Professor Outfit, which would boost her Intelligence stat, speeding up the production of RadAways. I scrolled through the inventory a few times, and couldn't find the Professor Outfit. The only possibility I considered was that I'd forgotten to unequip it from the dweller who was wearing it before. But as I messed around, it became clear that you're unable to equip female dwellers with the Professor Outfit... Yeah, I know. 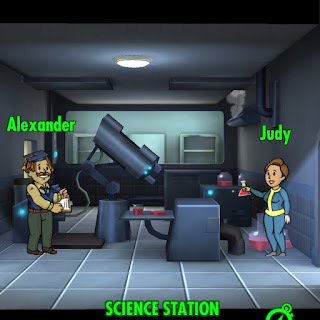 Here are two dwellers, Alexander and Judy, in the Science Station. 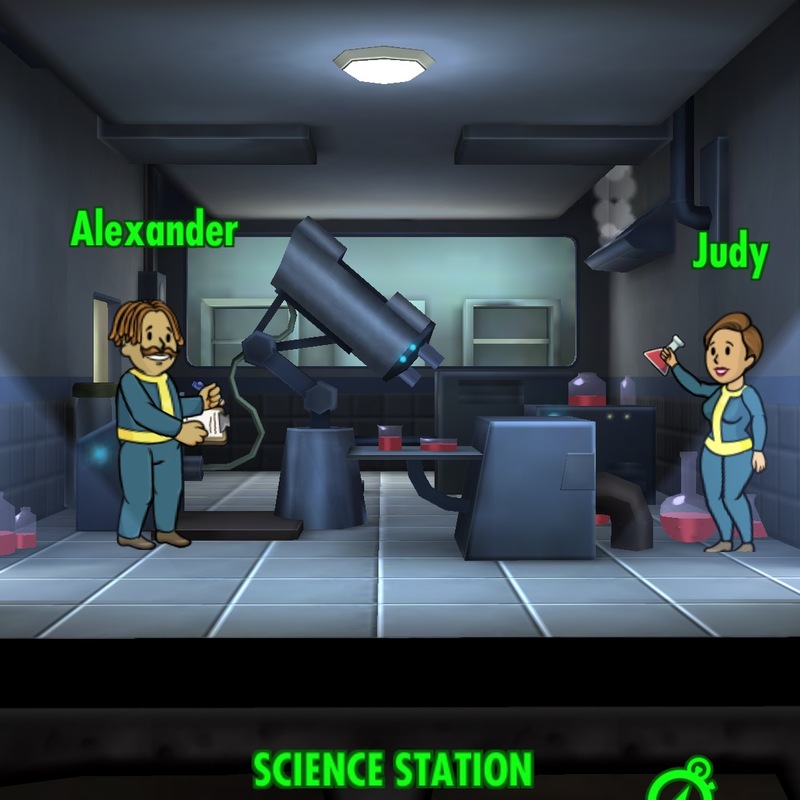 When I select Alexander and scroll through the outfits inventory, the Professor Outfit is right there between the Nightwear and Radiation Suit. When I select Judy, it's just absent. It's not even greyed out, just invisible. This is a problem. There is a very strong cultural expectation that "Professors are Men", and this expectation gets visited upon my female friends and colleagues in really unfortunate ways. The most common and obvious day-to-day experience I've been told about is people assuming that "Prof Smith" is a man in e-mails. Or it's assumed that they're administrative support staff instead of faculty at meetings. Sometimes people assume female profs are students showing up for the first day of class, instead of being the instructor. One friend of mine said they got student feedback on a course saying that they were a great teacher and would doubtless be successful "in whatever career she pursues." These are all obvious examples of women not being taken seriously in their professional roles, and the "Professors are Men" expectation has some obvious impacts on their careers. Women are grossly underrepresented at the highest faculty levels, and get paid about 90% of what men at equivalent levels do. So what's it matter that in Fallout Shelter, Alexander can wear the Professor Outfit and Judy isn't even presented with the option? An all too common scene. Well, first, it's just re-enforcing the "Professors are Men" expectation. Who is this message reaching? For one, me, and probably many of my students, and we're the ones who do a lot of the damage with the "Professors are Men" assumption. But it's also probably reaching a larger portion of women than even other games with poor gender portrayals do. It's a mobile game, and mobile games are disproportionately popular among women. Also, it has an undeniably The Sims-like element to it, a game which was also disproportionately popular among women. So, it's a fairly negative message about women, in all likelihood being disproportionately directed at women. This is also a game with a bit of cultural reach. There is some speculation that it's out earning Candy Crush Saga, and it topped the App Store charts for a while. 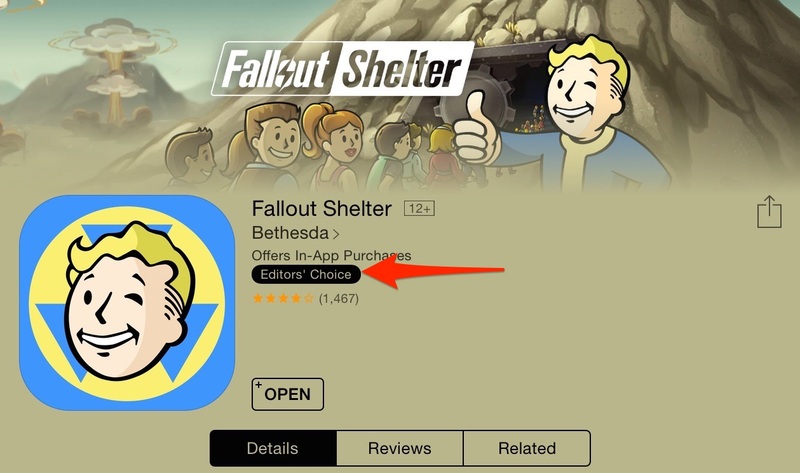 Bethesda is also a really big and popular game studio, and Fallout Shelter bears the "Editor's Choice" badge. Preventing female dwellers from equipping the Professor Outfit is also the only gender based equipping restriction I've come across in the game. All of the other outfits can be worn by male and female dwellers. Both Alexander and Judy can wear the Combat Armor, but it's drawn a bit differently for their different bodies. Sometimes, with things like gender representation, there is an in-game explanation for why things are the way they are, and we need to have a conversation about why gender representation in fictional worlds is an important issue for our real world. But I don't think that's what's going on here. The fact that the outfits are drawn differently for male and female dwellers, and the fact that the Professor Outfit is just unceremoniously absent without any kind of in-game explanation suggests to me that they just didn't bother drawing a Professor Outfit for female dwellers. That is, we're observing here a real world instantiation of the "Professors are Men" assumption rather than some kind of intentional fictional representation of that assumption. But just because it isn't intentional doesn't mean it isn't sexist, and doesn't mean it shouldn't be changed. Being unintentionally overlooked is exactly the problem my female colleagues are facing. I've sent Bethesda an email briefly outlining this, and asking them to rectify it in an update. Don't know if I'll hear back from them, or if I'm better off yelling at no one in the Wasteland. Edit: The pregnancy mechanics are also pretty messed up too. Video games are a broad medium though (this is more self defensiveness), and can be utilized for all sorts of purposes. For example, the Iñupiat Cook Inlet Tribal Council had the game Never Alone made, in which they embedded parts of their oral traditions for their younger generation. It's a really pretty and fun game. There's also the episodic game Life is Strange, which is essentially a game about friendship, family, the near constant threat of vitimization women face, and the anxieties we all face in trying to make the right choices in life.